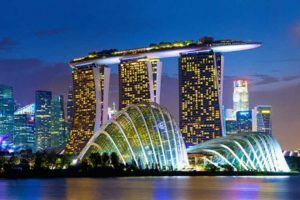 For design and implementation of Smart City masterplans and solutions in Singapore, KEPPEL Corporation and Singapore Technologies Engineering (ST Engineering) have joined hands. Keppel Urban Solutions, has a vast expertise in developing large-scale urban developments across Asia. Some of its main projects include the Sino-Singapore Tianjin Eco-City in China and palm city in Ho Chi Minh City, Vietnam. On the other hand, Singapore Technologies Engineering holds a decent experience of keeping itself involved in 500 projects in more than 70 cities, that includes imparting smart technologies to Smart Nation drive of Singapore. With an aim to target cities with a development project, the partnership between the two came into force that will ensure Smart City technologies contribute to upgradation of liveability, sustainability and resource-efficiency of urban development. The partners desired to pave way for relevant smart solutions and to cooperate on third-party projects in the Asia-Pacific. Both Keppel Urban Solutions and ST Engineering signed a memorandum as to the partnership at the World Cities Summit 2018.